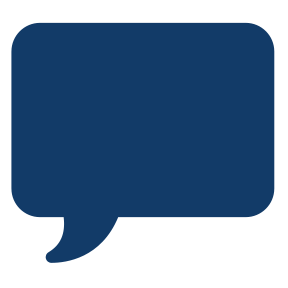 Simulaids was approached by a physician after he was involved with a difficult house extrication of a rather large patient. 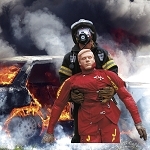 It became evident that standard patient handling techniques were not suitable for the extrication of morbidly obese patients. The physical limitations of the buildings in which some of these patients reside also required special consideration. 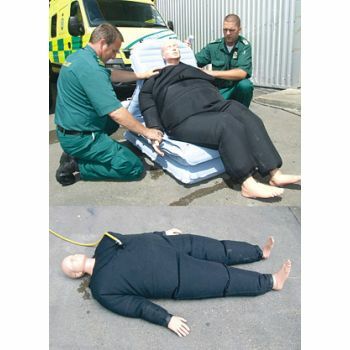 The Bariatric Rescue Manikin Suit replicates the weight and the movement in body tissue associated with morbidly obese patients. This simulation is made possible by an "exo-suit" which allows the user to add up to 440 lbs. of water. When the exercise is complete, the water can be simply drained away thus making the manikin more "portable." 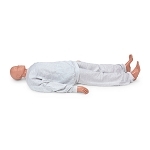 In its dehydrated version, the manikin can be easily transported between locations. 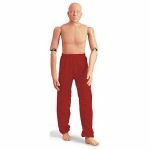 The Bariatric Suit fits only the Regular Rescue Randy original 5 ft. 5", bald manikins. 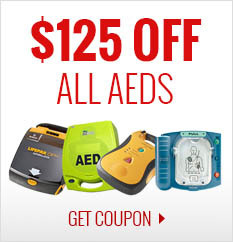 For manikin use only.